TIPU JAYANTI: ARE CITIZENS BEING TAKEN FOR A RIDE BY CRAFTY POLITICIANS? 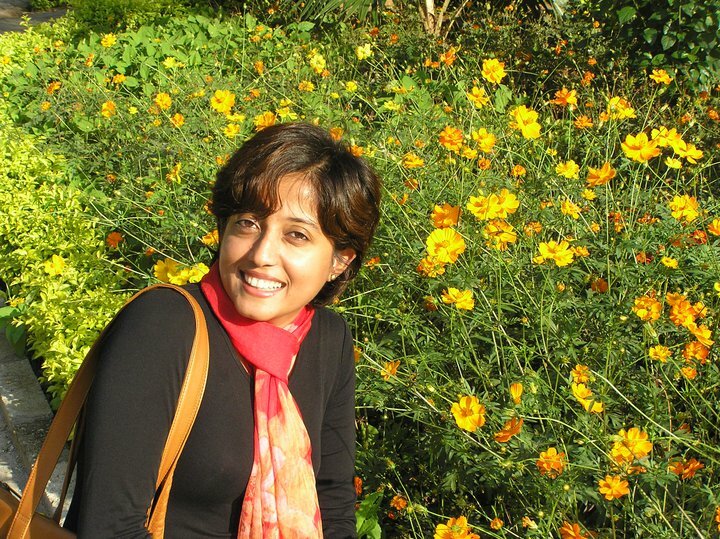 Writer Roona (in picture) studied at Southern Illinois University, United States. I have been following some of the arguments for and against Tipu Sultan and the celebration of his birthday, going on in the social media. A question that seems to be coming up these days is, “Why did the Kodavas not accept their converted brethren after they escaped from Tipu’s prison and made it back to Kodagu?” Let us transport our minds back to the century in which this event took place. With our modern, casual attitude towards religion, it is difficult for us to fathom why their conversion could not be reversed. However, in those days, religious belief was far more sacrosanct and inflexible and as there was no practice or precedence of conversion/reconversion to Hinduism/Kodava culture, this was not an easy possibility. A ruler or leader with great intellectual depth and public adoration of the highest order could have done something I suppose, but in the absence of any such demi-god, re-conversion was not viable! This brings me to another question. Why are we even asking why the converted people were not accepted back into the community? The issue here is Tipu’s war tactics and religious dogmatism. How does the refusal of the Kodavas to accept their converted community members in any way reduce or justify the horror perpetrated by Tipu Sultan? And when this part of the history has understandably offended a section of the population why is his ‘jayanti’ being pushed down their unwilling throats by the government? The absurdity of this entire issue is that everybody knows why the politicians want to do this. It has nothing whatsoever to do with Tipu Sultan the king, no matter how great he may have supposedly been in other areas of his governance. It is politics of the worst order, a strategy to appear sympathetic to certain sections of the population. Herein lies a dilemma – by opposing the celebration so vociferously are we as ordinary citizens playing into the hands of crafty politicians? Opposition to anything has immense power to strengthen it too. In life – as individuals or societies – it is better to pick and choose our battles. Sometimes problems die a natural death when ignored, whereas resistance might merely help reinforce it. Of all the numerous kings, queens and freedom fighters our land has produced, Tipu has been chosen because no other figure could have helped create such a controversy. Due to this controversy the politicians involved are getting plenty of free publicity, and unjustified popularity for themselves amongst the minority communities. A good number of years ago, a colleague with Marxist leanings, invited me to a celebration of Tipu Sultan held in Srirangapatna, organized by associations who revere the king. It was attended by people of all religions who believed in Tipu for reasons of their own. They got together, sang his praises, aired their various grievances against current social problems as it impacts them, and went home. It was passionate but peaceful, planned and attended by people for whom he had become an important personality; it was not organized by any government body. In a democracy this is acceptable as people have a right to follow what they believe. However, what is not acceptable is the sheer folly of choosing a controversial figure, glorifying him irrationally and forcing a state-wide celebration on a largely reluctant or indifferent population, despite knowing that it could lead to a nasty law and order situation…and even worse, wasting public funds on this idiocy.